Recently, we had to make a decision: sell Wistia for a life changing amount of money or keep building the business ourselves. UPDATE August 23rd, 2018. Following much demand, Chris and Brendan held a live Q&A about the debt and refinancing. This is the recording of the livestream. Most founders dream of building a product that eventually becomes a household name and sells for a billion dollars, but chasing that goal comes with some downsides. The grow-at-all-costs model inevitably forces you to sacrifice something you care about in service of short-term revenue growth, whether that’s your culture, your employee experience, your products, or your creative approach. But what if you’re not willing to sacrifice those things? What if you actually believe that prioritizing them over short-term revenue growth is the key to succeeding over the long-term? We turned down the offer to sell Wistia and instead took on $17.3M in debt. This allowed us to buy out our investors, gain full control of Wistia, and take the path less traveled in the tech industry. 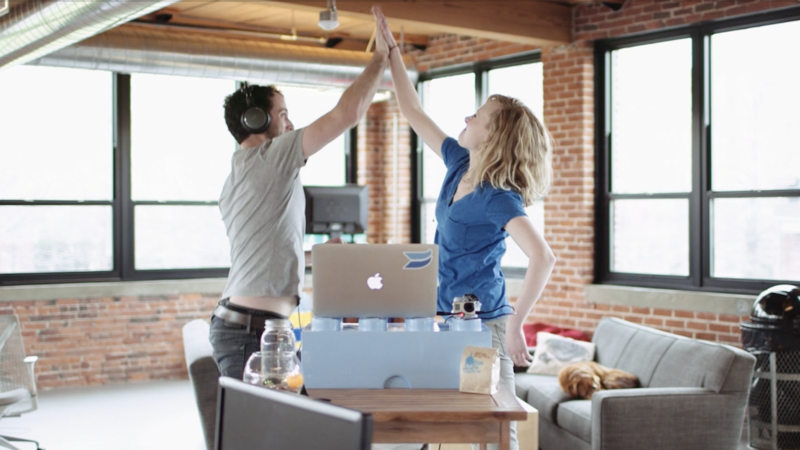 At Wistia, we’re building a lasting, creatively-driven, independent business. So, why are we sharing this with you? We’ve heard time and time again that people choose to use Wistia not only for the products we build, but because they appreciate the way we operate and build our business. The decision to raise debt was one of the most important in Wistia’s history and one that is rare in the software business, where the venture model is so pervasive. We’re excited to share this story with the community that made it all possible — you, our customers and friends — in hopes that insights from our successes and failures can be helpful to you in your businesses and careers. Building a lasting, creatively-driven, independent business was not always our goal. When we started Wistia, we actually wanted the other thing. We were 23 years old and naive enough to think that we could start a company, sell the company, and retire. But after a few months of working together, selling our little company was the last thing we wanted to do. We were having a blast! We had already launched a product, had a few users, and although we were broke because none of them were paying us, we realized that the process of building a business was actually really fun. The early days of Wistia weren’t glamorous. But we were able to pay the bills for two full years before we admitted to ourselves that we needed some help from folks with more experience. Thankfully, it didn’t take long for us to hire Ben and Adam, expanding our team of two to four. 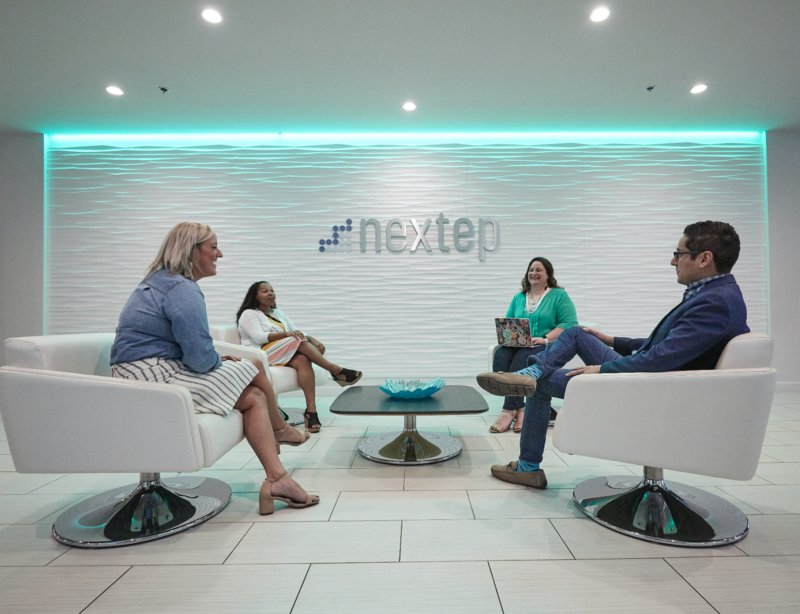 In order to pay them, we needed to take a big next step: angel funding. After meeting with all sorts of angel investors, we eventually closed our first round of funding — $650,000. 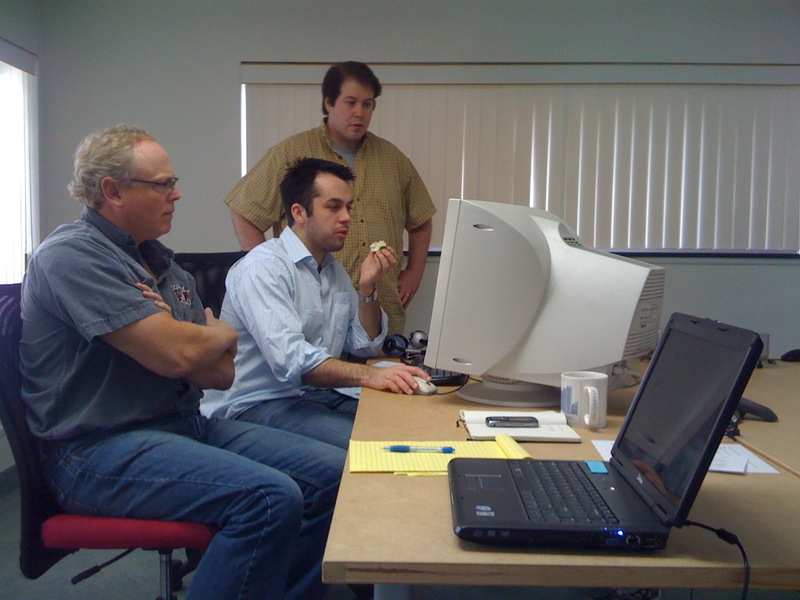 Adam, Chris, and Ben in our office in Lexington, MA. Photo taken by Brendan on the original iPhone he purchased with his first paycheck from Wistia. We immediately did what we thought any angel-funded company should do: we got an office, bought new computers, and started paying ourselves and our new teammates. While all of this was very exciting, we had just gone from putting $1,000 in the bank every month to burning 30 times as much. That part was very stressful. After a few years of experimentation with sales, marketing, and our business model, we finally started to gain some traction. We went back to our angel investors and told them we had good news and bad news. The good news was that we were growing; the bad news was that we had run out of money. Luckily, our investors believed in our progress. So, with revenue of about $18,000 a month, we were able to raise another $775,000. It took some patience, but we gave the model time to scale and Wistia continued to grow. After two more years, we were able to cover all of our expenses and start saving money. Things started to look up. Once we were profitable, we no longer had to justify every project’s short-term potential to each other and to our investors. We began to follow our instincts and work on more creative projects that we believed would pay off in the long-term. One of the first big investments we made was in content marketing. 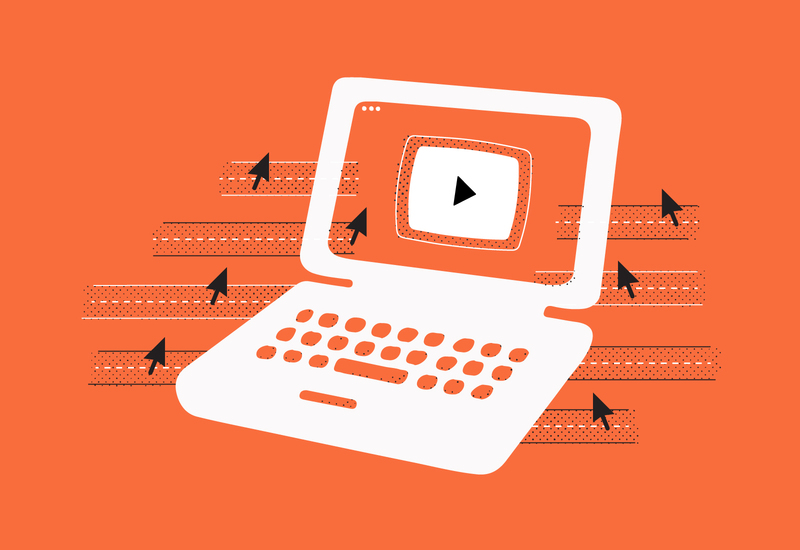 We knew that businesses struggled with where to start when it came to making video, so we thought it would be helpful to teach them all of our video-making secrets. And even though it cost us hundreds of thousands of dollars to produce this content, we gave it away for free. We trusted that if the content was free, more people would see it and make videos of their own. 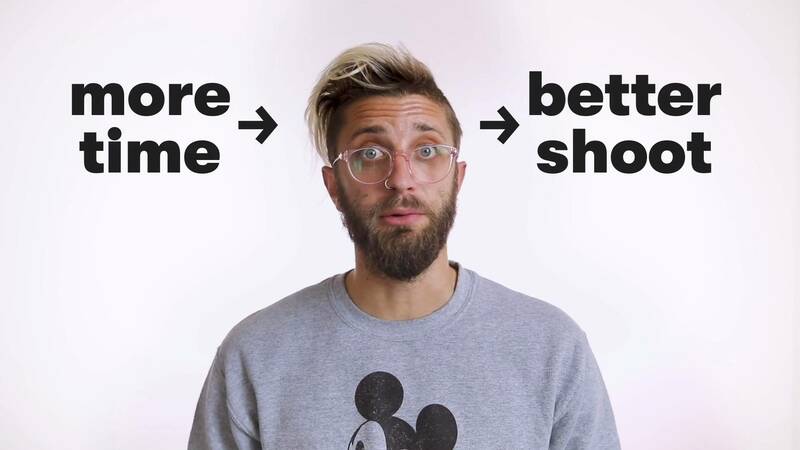 Which meant in the long-term, more people would become Wistia customers. One of our most successful early DIY videos. Shot and edited by Chris Lavigne. Starring Chris Savage. As predicted, this content didn’t immediately bring us more business, but we did have lots of qualitative evidence that it was working. For one, our team loved the videos and shared them with their friends and family. We also started getting effusive feedback from customers and our audience asking us to cover more topics. Even though the result of this investment wasn’t yet reflected in our numbers, we started to build “profitable confidence." We took the team on trips with no agenda, aside from spending time together. We rented confetti canons to launch products. We shut down the company for a day to film a video at a rollerskating rink. We held a parade right outside of our office. We spent over six figures providing the world with Wistia t-shirts. We based our advertising creative off of what made us laugh. We also started taking more risks with our product — investing in difficult-to-build features that we were certain customers would love. Customize is a great example of this. It took us the better part of a year to build and offered no flashy new functionality, but it did one really valuable thing: it allowed customers to make changes to the videos on their websites without having to re-embed them. It was a huge hit and still a foundational part of the product today. It was nerve-racking to operate on gut instincts, but when it worked it felt amazing. Eventually, the business grew enough to see the fruits of our labor in the numbers, which gave us even more confidence in what we were doing. This makes the next part of the story all the more embarrassing. As we grew the company and began sharing our story, we kept hearing the same counterintuitive advice from other entrepreneurs — Wistia was too profitable. We weren’t spending enough on growth, thereby limiting our opportunity. “Look at how great this company is doing! They just raised more money to grow!” In the tech world, growth always seems to come from more money. Success meant you needed to raise more money. So, was Wistia deemed unsuccessful because we didn’t raise more money? It sure started to feel that way. So we changed the way we operated: we hired faster, we increased our advertising spending, and we switched our focus from efficiency to growth. We scaled the team from 25 to 50 people in one year and from 50 to 80 the next. We pushed the business so hard, we went back to running at a loss for a few years and ate into our cash reserves. The result? Well, we broke pretty much everything. When we adopted a “growth at all costs” approach, we shifted efforts towards projects that we were confident would accelerate growth in a matter of months. We did a lot of conversion optimization. We offered a set of free users a discount one holiday season in hopes they’d convert to customers, knowing it would cause problems down the line. We started to perpetually delay meaningful projects, simply because they didn’t immediately drive growth (like overhauling one of the oldest and buggiest sections of the product, the users' dashboard). Employees who had been with us for a number of years questioned the focus on growth and said it didn’t feel “Wistia.” We dismissed this and chalked it up to a lack of understanding about the realities of business. Some of these people left. In general, the team was in a constant state of stress. You’d think that pouring money into our business and running at a loss meant we were taking more risks, but we weren’t. We were just taking different kinds of risks. Instead of the creative long-term risks we relished in taking, we were taking financially-motivated risks in service of accelerated growth. All that extra effort and all those extra resources did almost nothing to increase our rate of growth. The worst part was slowly losing the confidence we had worked so hard to build. We had overscaled. While deep in the process of trying to increase the growth rate of the business, we were faced with a new opportunity — selling Wistia. You’d be surprised how often a growing tech company like Wistia gets offers to sell. There’s frequently an investor looking to flip the business or a company looking to purchase a brand, product, and customer base. 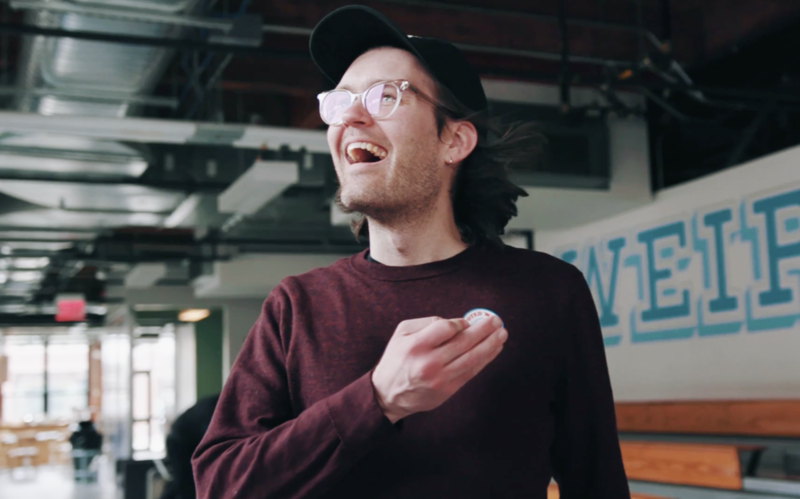 When things were going well, it was really easy to ignore the offers, but at this moment in Wistia’s history, we weren’t feeling confident and — if we’re being honest — we weren’t having fun. For the first time, we decided to explore the option of selling. If we sold, we could do whatever we wanted — buy jet skis, travel the world, watch movies together in the middle of a weekday, or even build new businesses. All the stress of over-scaling and hitting growth targets would simply go away. We could start over with a fresh perspective and apply all the learning we’d gathered from years of making mistakes to create a great new brand. If we didn’t sell, we’d be stuck with the same problems that came with over-scaling. We’d risk failing and we’d be walking away from a life-changing opportunity for our families. Deep in our existential crisis about what to do, we found ourselves sitting on the loading dock of a pharmaceutical building a few blocks from our office weighing our options for the umpteenth time. As we mulled all this over, it began to feel like selling the company meant failure. We hadn’t done enough to try and remedy our own mistakes. There were still products we wanted to build and content we wanted to create. Deep down, we wanted to get Wistia back on track and we knew from experience that the trade-off between profit and growth was a fallacy. It was then and there that we decided to double-down on Wistia. We weren’t going to sell the business. Instead, we would put all our efforts into making Wistia profitable and renewing our confidence as a team, so we could focus on the long-term and take creative risks as we grow. Leading up to this decision, we both had many sleepless nights, but once we resolved not to sell, we simultaneously felt calm and energized in a way we hadn’t in years. While it felt amazing to have a clear direction in which to build, this also caused serious misalignment with our angel investors. They were expecting a return on the money they put into Wistia back in 2008 and 2010. Every employee also owned a portion of the business. If we weren’t planning on selling, how would investors and employees be rewarded? Provide a return to investors. Our investors took a huge bet on us and they deserved to get a return. Provide a return to employees. Our team also took a big bet on us over the years by investing their time. They deserved a return as well. Find a replacement for stock options. If we weren’t planning to sell the company, giving employees stock options didn’t make sense. We needed a new way for the team to share in the success of the business. To accomplish all this, we landed on the idea of doing a stock buyback (to provide the returns) and starting a profit-sharing program for employees (to replace stock options going forward). Unfortunately, because we had been running at a loss for the past few years, we didn’t have nearly enough cash to buy the stock back. We’d need to raise money. Many people advised us to take on a new equity investor, but we knew with that strategy, we’d eventually be back in the same position: that investor would need a return one day too, just as our current investors did. So we decided to raise debt. With this plan, our ownership in Wistia would go up — and so would the risk. We’d be on the hook for paying back a large sum of money and if we missed payments, we might lose control of the business and end up with nothing. But at least we could sleep at night knowing we offered our investors and employees a return. We felt confident that the profitability constraints the debt imposed would be healthy for the business. 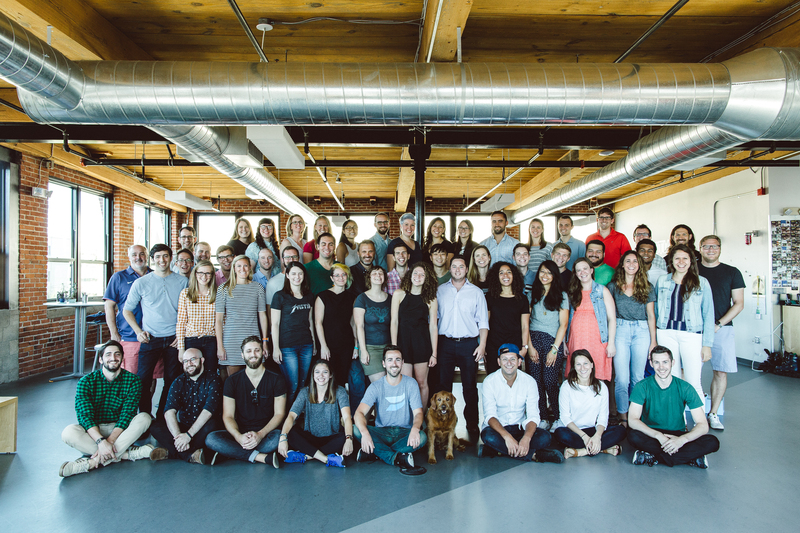 Spending or hiring ahead of budget to try to juice growth weren’t options in this model and we’d be forced to grow the way we wanted to: sustainably, with a focus on creative, long-term solutions for our customers and team. We got offers from four different firms and ended up working with Accel-KKR, who offered the right amount of debt and favorable terms. Plus, they were excited about what we wanted to accomplish. We raised $17.3M in debt in November of last year, which we paid out to employees and investors. Then we started working to make the company profitable again. Since raising the debt, revenue is growing faster than before (up 40% year-over-year in the first quarter) and our newest product, Soapbox, is gaining traction. By reining in our advertising spending and slowing down hiring, we’re also profitable again. But really, the revenue growth and profitability give us the opportunity to do what we love: take creative risks. We want to take the time to build simpler, faster, and more useful products. We want to take bigger swings with our content production and our brand. And if you’ve been paying close attention, you may have even noticed some of the changes we’ve started to make. We’re proud of the work we did to completely rebuild our video player, shrinking it to half its size so your pages load faster. We hope you enjoyed Video Marketing Week (and if you missed it, don’t worry, you can still get all the content here). We’re looking forward to seeing you August 14 at CouchCon, our first-ever virtual conference. We’re working on an ambitious video project with Sandwich Video, due out in September. And we never announced it, but we completely rebuilt the users dashboard earlier this year. Keep watching, and you’ll see even more of an investment in the products, customer experience, and content. Growth and profitability aren’t mutually exclusive. We’ve found when we focus on building products and experiences people love, growth follows. Our best work in these areas has come from our creativity, not huge spending. Company structure matters. 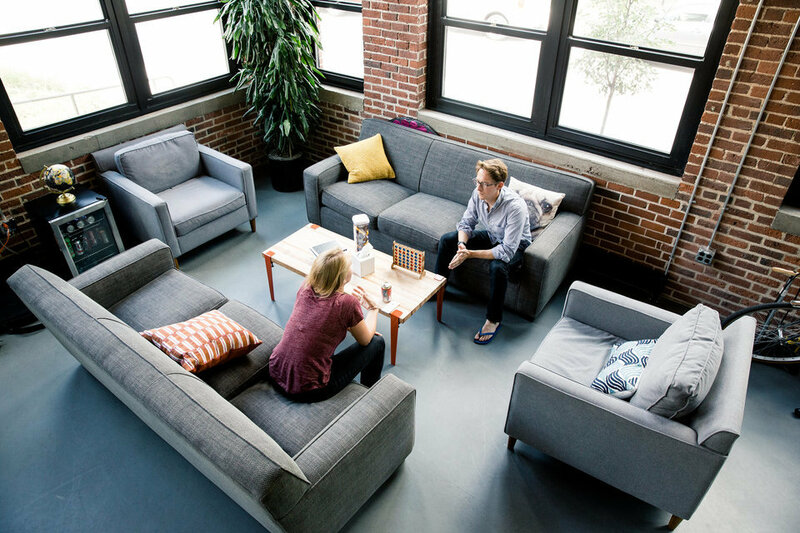 The way you intend to grow your business has a huge impact on employee incentives. Make it clear to your employees what your business model means for them personally. Confidence is key. Here at Wistia, we need to be profitable in order to feel confident taking creative risks. You may not need to be profitable to do this, but ask yourself what will help you feel confident. Go your own way. Understand the implications and commitments that come along with funding, particularly the social and cultural aspects of it. Don’t assume that more funding is the key to success. Selling and IPO’ing aren’t the only options. Believe it or not, there are other outcomes possible when it comes to running a business. Some of the best businesses we know fly under the radar. Because they’ve never raised any money and are quiet about their success, they’re not written about in the press. 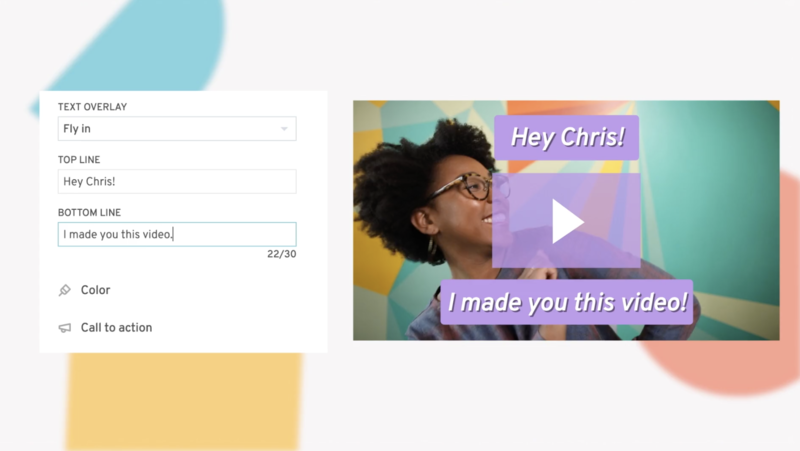 It took us a long time to figure out what we wanted Wistia to be and how we wanted to structure the business overall. We were fortunate to find our voice and a successful approach early in our journey. And we were even more fortunate that our temporary abandoning of this approach didn’t result in the complete failure of Wistia. Our instincts have turned to conviction through this misstep. What we’ve primarily learned through all this is that it’s great to rigorously define what success looks like for projects, but never constrain success to measurable financial gain. The moment you do that, your creatively-driven team members will disengage, you’ll stifle innovation and exploration, and you’ll rule out what could become your most successful projects. Our best investments have been the ones whose impact couldn’t be measured in the short term and perhaps may never be fully quantified. We make investments that align with our values, are good for our customers, and are good for us — clearly modeled return-on-investment-not-required. In the analytical world of business, this approach may sound wild, but it’s how we’re building Wistia and we’re darn proud of it. P.S. If you have made it this far and would like to hear more about our journey, have a listen to this Angel Invest Boston episode where we tell parts of it in more detail.